Being in the US this week during the elections has truly been a remarkable experience and roller coaster. 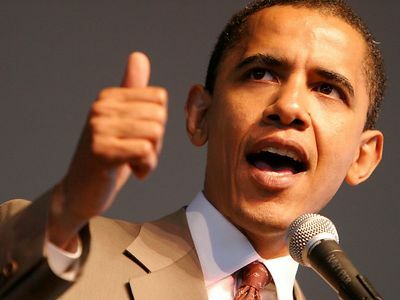 The outcome is that, for better or for worse, the American people have determined that President Barack Obama will serve a second four year term as leader of the Western world. Aside from Americans, this will probably impact more on us in Israel than any other nation because of our heavy reliance on US political and military support. But the die has been cast and everyone, including those of us who were deeply apprehensive about how a second term Obama would relate to us, must accept the verdict of the American people. Our government should now concentrate on devising a strategy to maximize a meaningful relationship with the second Obama Administration without compromising our security or independence. This will not be easy but it is achievable so long as we behave rationally, American grass roots support for Israel remains strong and Congress does not abandon us. Prime Minister Netanyahu will be obliged to endeavor to overcome the personal animosity which bedeviled his relationship with Obama and contributed to the troublesome tensions which exacerbated differences between both countries over the past four years. We should be heartened by the fact that Obama’s “charm campaign” and pragmatic pro-Israeli policies designed to obtain support from American Jews during the pre-election period, suggest that he is not necessarily committed to an ideological anti-Israeli agenda. Hopefully, from Obama’s vantage, he may have appreciated that bullying or demeaning Netanyahu was counter-productive and in fact strengthened rather than undermined his popular support In Israel. He must also be aware that over the past few years, despite some erosion within the Democratic party, Congress remains overwhelmingly supportive of Israel, reflecting the record levels of support which Israel enjoys overall with the American people. Should Obama revert to his earlier approach of continuously publicly reprimanding Israel whilst treating the duplicitous Palestinian leaders with kid gloves, he could bring about a confrontation with Congress. By now, Obama may also have independently reached the conclusion that by distancing the US and exerting harsh pressure on Israel, all he achieved was to embolden the radical Islamists and encourage the Palestinians to become more intransigent in their demands. Moreover after burning itself on so many occasions in its former failed Middle East policies, the new administration may well decide to distance itself from seeking to resolve the intractable Arab-Israeli conflict. We should therefore, at least at the outset, adopt a positive approach to the new administration and assume that Obama will adhere to his commitments and that the improvement in relations with Israel created over the past six months will be sustained. 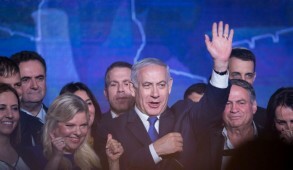 However it is important for pro-Israel activists to be prepared immediately to raise their voices should he renege on his electoral undertakings. Israel must also, if necessary, be prepared to initiate a public campaign to explain our position should Obama revert to insisting that the indefensible 1949 armistice lines serve as the opening benchmark for negotiations with the Palestinians. In addition, American Jewish leaders – presumably led by AIPAC – must as a priority, launch a major campaign to reinforce the traditional pro-Israeli attitude relationship of the Democratic party. Such a course of action would have been equally imperative had Romney been elected. At a grass roots level there is now unquestionably a growing far-left minority emerging within the Democratic party which is indifferent and, in many cases, outrightly hostile to Israel. It received a boost from the Obama Administration when it sought to distance itself from Israel in order to appease the Arabs. 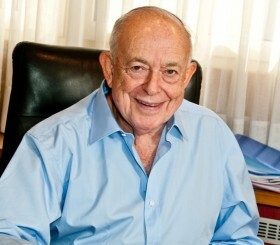 These trends were accelerated by agitation from Jews bitterly opposed to the Israeli government, as exemplified by Jeremy Ben-Ami, head of J Street who claims to have a better understanding of what is good for Israel than Israelis themselves and Peter Beinart who is adored by the liberal media and calls for a global boycott of Israeli settlements. 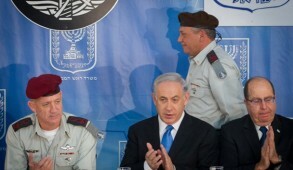 Ignoring the fact that today, subject to the Palestinians recognizing Israel’s security needs, a consensus prevails in Israel favoring a two state policy – these Jews have been continuously trying to persuade elements within the Democratic party that Israel was the intransigent party and the obstacle to achieving a peace settlement in the Arab-Israeli conflict. 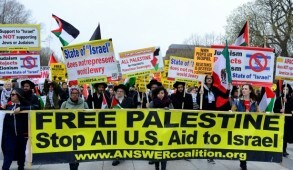 The growing influence of anti-Israeli factions within the Democratic party was evident in the course of the party’s recent National Convention with the deletion of positive references to Israel which had traditionally been incorporated in the conference declaration. It was also highlighted dramatically by the chilling and unprecedented booing which greeted the reinsertion of a section recognizing Jerusalem as Israel’s capital. 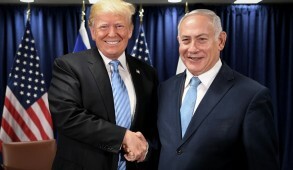 The reinforcement of bi-partisanship towards Israel is crucial, because if elements hostile to Israel become dominant or even influential amongst either of the two mainstream parties, it would undermine one of the strongest foundations sustaining the US Israel alliance. That the majority of Jews continued to support Obama in the elections should strengthen the ability of Democrats seeking to marginalize the anti-Israeli elements and restore the standing of Israel in the Democratic party. We may be facing difficult times. But we must remain optimistic in the knowledge that the United States is a democracy. As long as public opinion continues to support Israel, the relationship between both countries may, as in the past, undergo strains and stresses, but will remain intact.